Ipilimumab is a humanized antibody to CTLA4 and is used to treat cancers refractory to conventional treatment. We treated 21 patients with refractory melanoma or prostate cancer with anti-CTLA4 antibody (ipilimumab), with subsequent development of significant colitis in nine cases. Two of these nine did not respond rapidly to high-dose (2 mg kg−1 day−1) glucocorticoids or infliximab. They required additional immunosuppression, and one ultimately died of opportunistic infection, representing a more refractory course than has previously been described complicating ipilimumab therapy. Both patients had received radiation to the pelvis for prostate cancer less than 1 year prior to receiving ipilimumab. 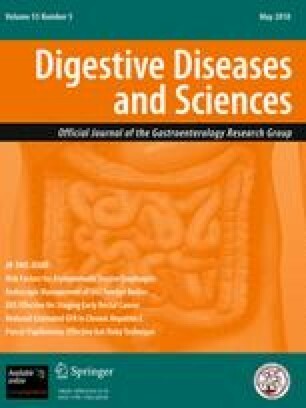 We performed immunohistochemical analysis of colon biopsies from ipilimumab recipients to determine if colitis correlates with depletion of intramucosal FOXP3+ regulatory T cells (Tregs), which normally express CTLA4. However, we found no evidence of FOXP3+ T cell depletion in any of the nine patients who developed colitis. This work was supported by the National Institutes of Health AI48779 AI007411 (JDL) and CA18029 (RCH, GBM), as well as clinical funds from the University of Washington and the Seattle Cancer Care Alliance. None of the authors have personal financial relationships to disclose. However, subjects with melanoma were participants in a trial funded by the Bristol-Myers Squibb company, for which John Thompson was an investigator. Subjects with prostate cancer were participants in a trial funded by the Medarex company, for which Celestia Higano was an investigator and Deborah Chielens was a coordinator.